One of the best places for fun and entertainment in Fort McMurray, Alberta, Canada is the Boomtown Casino. It may not be the biggest casino that can be found in Canada, but it still has plenty to offer. The lounge and restaurant offer good entertainment and food while the casino has plenty of the favorite games that people expect to see when they head to a casino. The promotions that are offered just add to everything else that is offered by the Boomtown Casino. With more than 450 slot machines, table games and other casino games packed into 24,000 square feet of space, there is really something for everyone. They have classic reel slot machines and the popular video machines. Titles such as The Dark Night and Diamond Millions are some of the games that can be found on the casino floor. The machines range from penny machines on up. There are also electronic 3 card slots machines. They make sure to continually bring in new machines to make sure they always have the best selection of games and the games that their guests really want. There are also progressive machines for those that want to have a chance at a really big jackpot. The poker room offers limit and no limit games. Players can choose to play live games or they can join one of the many tournaments that are held at the casino. The poker room allows players to test their skills against other players instead of just trying to beat the dealer. In the lounge, visitors to Boomtown Casino will not only be able to sit, eat and drink, but they can also pay the very popular Keno game. This game brings the thrill of winning the lottery into the casino and is a great way to relax for a little while. 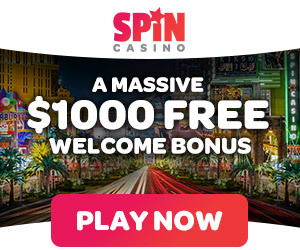 All casinos are well known for the promotions they offer to their visitors. Boomtown Casino is not different. They offer daily, weekly and monthly promotions. Senior citizens get $5 in free play on Tuesdays. Visitors can also join the player’s club that will allow them to earn points that can be redeemed for different rewards just for playing the games. The Boomtown Casino has two restaurants. The lounge is known for its Sunday breakfast specials and the café has a full menu for those that are looking for a little more. The entertainment consists of many different acts, but one of the most popular events is the Boomtown Casino version of American Idol. Everyone can take their talent onto the stage to show what they have got. While there is no hotel that is connected to the casino, the nearby Stonebridge hotel is a popular place for people to stay when they visit the casino. Sunday from 10 am to 12 am.